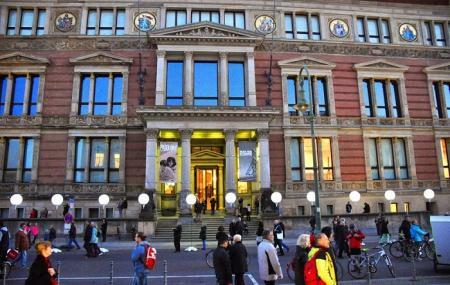 Martin Gropius Bau has played various roles in terms of the exhibits it possesses. Initially an art gallery, this building of renaissance style is an exhibition hall today. This building was made by the celebrated architect Martin Gropius and is named after him because of the perfect execution of the Schinkel architecture. He was the great uncle of the well known- Walter Gropius. The building like many other places in Berlin was destroyed in the year 1945 and today is one of the restored marvels of the city. Online tickets are available on the official website. Ticket price vary depending on the event. Admission for visitors of 16 or under : free. For reduced tickets, visit the official website. Love this? Explore the entire list of places to visit in Berlin before you plan your trip. Fancy a good night's sleep after a tiring day? Check out where to stay in Berlin and book an accommodation of your choice. People normally club together Game Science Center and Galeries Lafayette Berlin while planning their visit to Martin-gropius-bau. I have been here a couple of times over the years and have been impressed by their large and well laid out exhibitions spaces. My only reservation is that the tickets don't allow you to go to all of the exhibitions -- just the one you purchased. I saw the fascinating Gurlitt show. Interesting building, very spatious inside. I visited it during the European Film Market and it was impressive the amount of stands it hosted. Very nice architecture and the building alone is worth visiting. Depending on the exhibition, it's hard to give a rating. Sometimes you get to see quite a lot, sometimes it's just one or two rooms. And depends on taste of course.